I finally visited Melvin Chew to try his family stall's Duck Rice and Kway Chap Bento. Gosh, it is such a generous platter of all the goodies - tender braised duck, savoury duck rice rolled into balls, luscious kway chap, lean pork, pickles and Japanese-style runny yolk lava eggs. This bento is one of his innovations to engage the younger generation's interest. For the portion, the S$8 bento is really good value. I think two people could easily share this, or maybe it will feed one very hungry army boy. 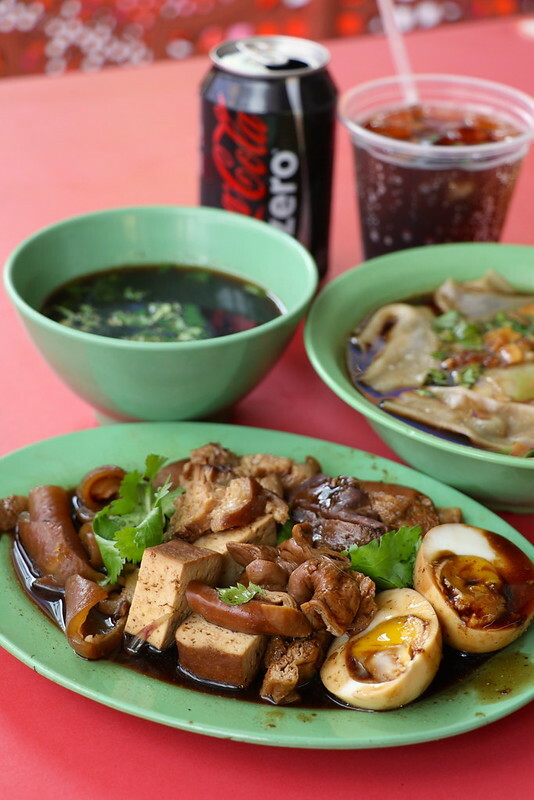 Melvin's family has been running Jin Ji Teochew Braised Duck and Kway Chap at Chinatown Complex Food Centre for over 30 years. After taking over, Melvin introduced some new tweaks, like making the "lor" or braising gravy a little thicker and sweeter. Traditionally, they had kept to the Teochew way of making it thin. 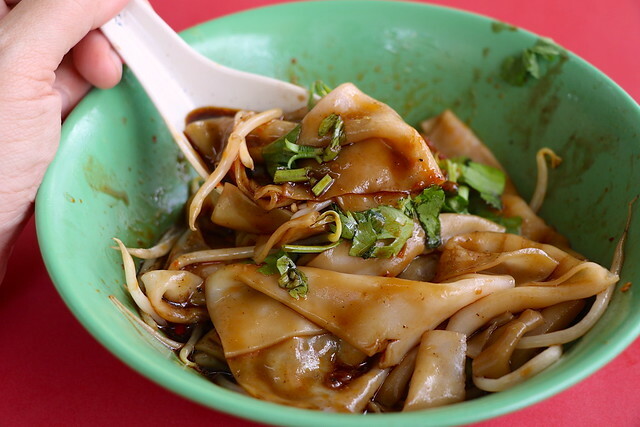 The braising sauce is also used to make the kway chap, which I really enjoyed as well. The complex sauce features a secret mix of herbs and spices, and the flavours while complex are nicely balanced. Melvin also came up with a "dry kway" which is quite nice. It took me a while getting used to it, but it's almost like a horfun with potent sauce. Great for those who don't like soupy stuff! 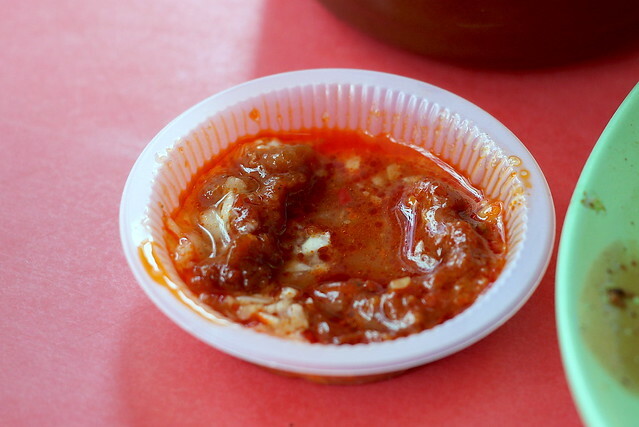 What is amazingly good there and not often mentioned is the tangy chili sauce that Melvin makes. It's a wonderful mix of garlic, belachan, dried shrimp, vinegar and chili that really perks up the both the duck rice and kway chap. 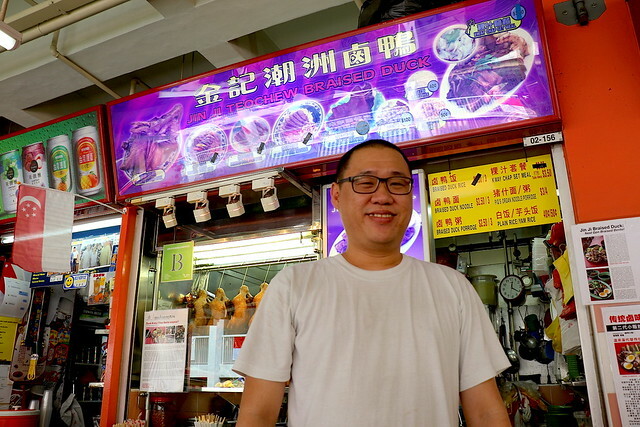 Melvin is one of the talents I featured in my Yahoo Makanation story on 10 of Singapore's shining young hawkers. It's always encouraging to see younger people continuing the hawker trade. Look for his stall located at the breezy side of Chinatown Complex. The bento does very well as a takeaway too. Surprisingly, I liked the duck rice a lot more than I expected. The duck is extremely tender and beautifully braised, and the rice is so tasty with yam and dried shrimp mixed in. I usually never order duck rice but I shall be back for this.